It’s way too cold to put any warm weather plants out including peppers. 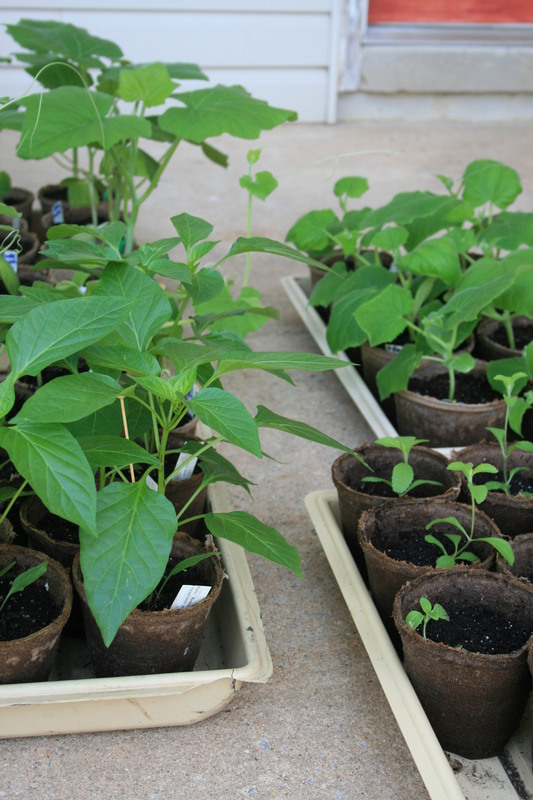 But it’s not way too cold out to figure out if you want to grow peppers and if you do, what kind you want to grow. These peppers can grow as long as 12 inches but are usually between 7 and 8 inches long. Raw, they are sweet all on their own or as an addition to a salad. Cook Italian sweet peppers and add sweetness, richness and depth of flavor to just about any dish. Peppers are a warm weather plant so I always start them from seed. And I always start peppers 2 to 3 weeks earlier than the date specified on the seed packets. Why? In my zone, peppers that are started 8 weeks before my last frost (around May 15th) just aren’t big enough or strong enough to set fruit before the middle to end of July. As a result, if I started plant when the seed packet said to, I’d only get a few peppers from each one. If I start the plants indoors and early, I get a glorious crop from all my plants! For one thing, I’ve had the same kits for more than 20 years and only one has failed in that entire time. For another, the kits ensure that your seeds and seedlings get just the right amount of water while sprouting and growing. Not too much – not too little — because they use capillary mats in the cell system and take advantage of osmosis. Because of the system design, I never have to contend with damping off when using these kits. I fill the cells with Gardener’s Supply germinating mix, place 4 seeds in each cell…two in opposite corners. 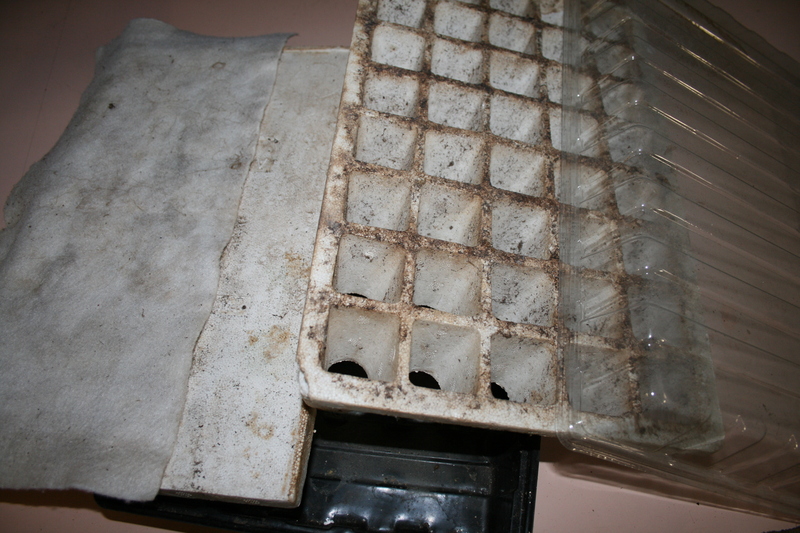 Then I cover each cell with a bit of sphagnum moss, put on the plastic top and set the tray on my heat mats. I fill the tray with water and then check every day for water level and, in 4 or 5 days, to see if the seeds have sprouted. As soon as the seeds sprout, I lift off the clear cover and drop the light to within an inch of the cells. 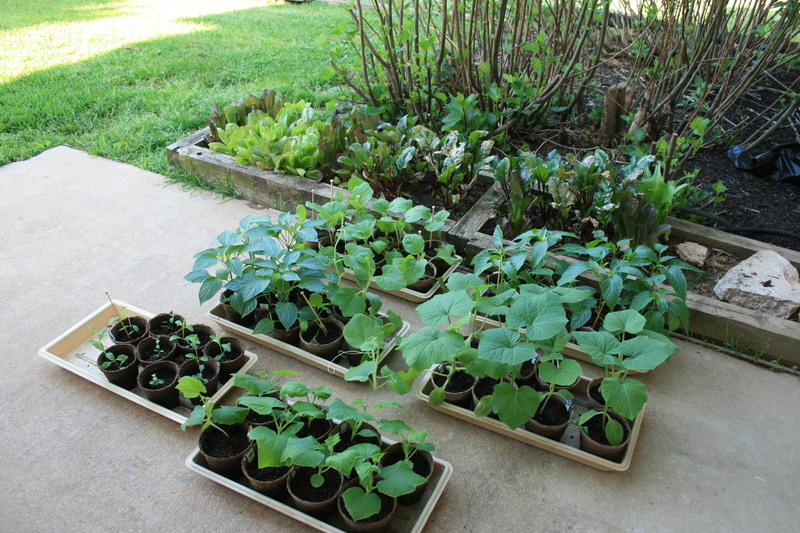 As the plants grow, I keep the trays watered and I keep the light as close to the seedlings as I can without touching them. If the light touches them, even a fluorescent light, it will burn the baby’s leaves and slow its growth. Five or six days before you want to put them in the garden, start setting them outside for a couple of hours the first 2 days and keep an eye on them. Make sure they have water and are not staked out in high sun or high wind. Then leave them out all day for 2 days then overnight for one night. 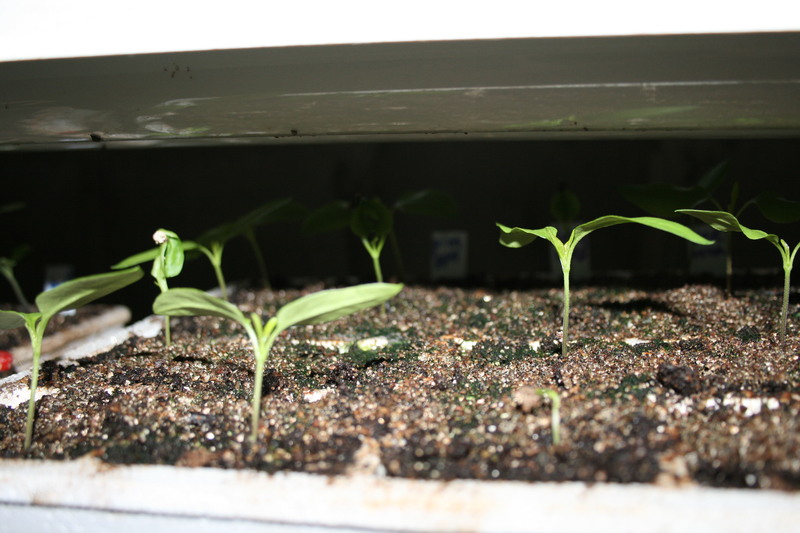 Peppers can be planted in single rows or twin (double) rows on a raised bed. 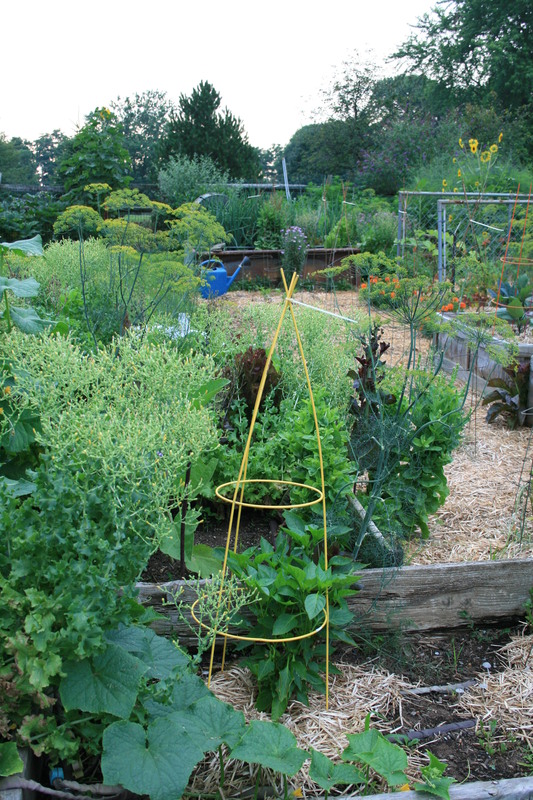 Space the pepper plants 12 to 24 inches apart and space rows about 4 feet apart. If you decide to use a double row, make the rows about 18 inches apart on the bed and put the plants in the ground in a zigzag pattern. NOTE of apology: due to a family emergency, I was out of town last week. I apologize for missing a post and hope you enjoy this one about growing peppers.